CELABOR is a scientific and technical services centre based in the commune of Herve near Verviers (Belgium/Wallonia). It offers scientific and technical support to companies in the field of agri-food (nutrition and extraction), environment, packaging, paper/cardboard and textiles. CELABOR’s staff comprises a multidisciplinary team including doctors, engineers, graduates and technicians. The Belgian research centre is a strong partner in CORNET and has already participated in numerous project applications. 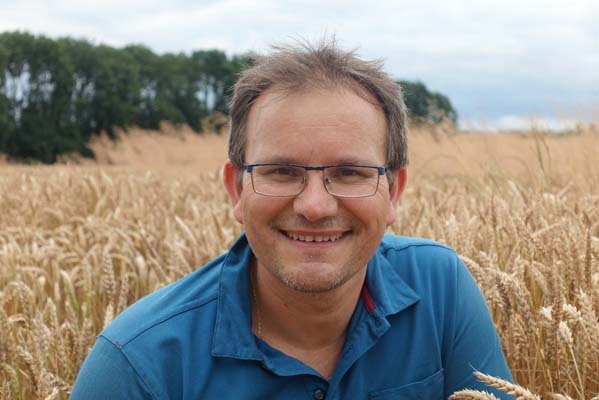 In the following interview, General Manager Yves Houet reports on his experiences with CORNET and the future plans of his institute. Mr. Houet, your organisation is a very active partner in CORNET, participating in almost every call twice a year. What is your experience with CORNET and how has your institute been benefiting from the possibility of international Collective Research? General Manager Yves Houet from CELABOR appreciates the benefits CORNET has to offer. Indeed, we were certainly the first centre that joined the programme in Wallonia at the time of its creation in 2005 when CORNET was still an ERA-NET supported by the European Commission. Since then, other authorised research centres have happily followed suit. As far as CELABOR is concerned, 20 of the projects we have proposed have been accepted so far, and we are currently running 6 projects in parallel across our 5 departments. The internationalisation of research and being open to organisations outside Wallonia are among CELABOR’s top priorities. To innovate faster, intelligence must be collective, work must be collaborative, and approaches must be complementary and varied. We would be wrong to deprive ourselves of all the resources that exist around us today when they are outside our borders. In addition, we also think we have a lot to contribute to our partners. We have an interdisciplinary team and it is ultimately the local industry that will benefit from this knowledge acquired from each side. I could not list all the positive and sometimes indirect implications that this research has had on our clients, but they are numerous. From a corporate culture point of view, our teams have gained confidence in their abilities by approaching other centres outside Wallonia. This internal trust, coupled with the trust we create in our partner’s mind, has created a network that is now a stepping stone to other international projects. Today, we participate in 4 Horizon 2020 projects and enjoy, thanks to CORNET, a 36 % success rate in this very demanding type of programme. Therefore, CORNET has been a trigger for internationalisation at CELABOR! What are the advantages of CORNET from your perspective compared to other funding mechanisms? CORNET is an international programme, so it’s difficult to compare it to our regional ones. If we make a comparison with other international programmes such as INTERREG, Horizon 2020 etc., I would say the simplicity, efficiency and the clarity of this type of programme is what stands out – from any point of view and in all phases of a project. The information requested in the application proposal is reasonable and sufficient. The files are quickly processed. Consortia are human-sized, so to speak, which also allows for stronger links with partners and more seamless and direct communication. The financial and technical reporting requested is also proportionate. In this type of pre-competitive research, the management aspects of intellectual property are also rarely problematic. Finally, the experience and qualities of CELABOR have allowed us over time to achieve quite high success rates compared to other programmes. The Partnering Events, which are hosted by CORNET and its partner network IraSME several times a year, are designed to facilitate international partner search to realise joint projects for the benefit of SMEs. What do you think about the format and what contacts have emerged for you and your institute as a result of the events? 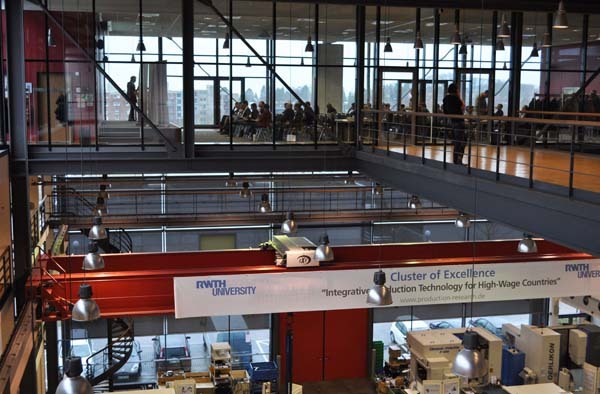 At the Partnering Event at RWTH Aachen in January 2018, future project partners have found each other. CELABOR’s point of view on this is simple: the events are one of the bases of our success in this programme because we must obviously be present to know and be known. These events allow us to do so by giving everyone the opportunity to present their own research profile or to integrate into programmes and project ideas presented by others. The last event in Aachen in January 2018, for example, allowed us to consider closely potential collaborations with RWTH Aachen University with the support of Mathieu Quintyn of the public agency Wallonie-Bruxelles International (WBI), who we would like to thank. We have met all of our current and past CORNET project partners at this type of event. With the participation of CELABOR, numerous research projects have already been funded within CORNET. Is there an innovation project that stands out and is of particular importance to you? The SELECTPERM project, whose poster received an award in 2016 at the 6th International Symposium on Food Packaging organised by the International Life Sciences Institute (ILSI) in Barcelona, has allowed us to develop our skills in selective permeability packaging, which has demonstrated itself to be very helpful to our customers. 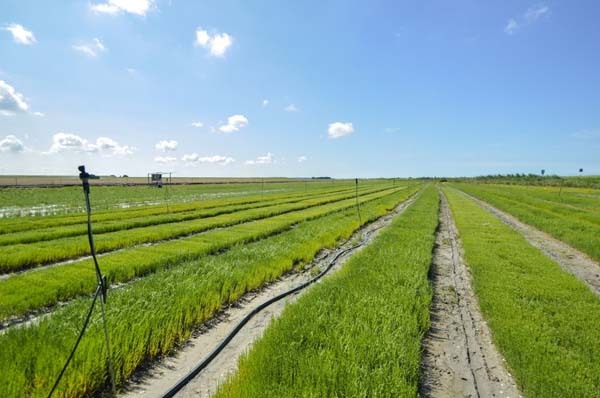 The German-Wallonian project crew of SaliChem was doing research on the use of salt-tolerant plants that survive salination and help to create energy. One project that has particularly inspired me, and after which we continued to work closely with the industry, is the SaliChem project. In this project, we were able to identify a halophilic plant that would valorise and treat saline soils while feeding a sector through a complete economically viable value chain developed with our German partner. 2000 hectares of arable land disappear every day because of the problem of soil salinisation. Beyond the economic dimension, this project has a lot of meaning from a societal and environmental point of view. CELABOR is continuously developing technologies in important areas such as the food and environmental sector. What are your further plans for the future? Increase our capabilities in our proven areas of expertise through the engagement of competent people and the purchase of advanced equipment. For example, today we are developing applications related to pulsed electric fields (for plant extraction and debacterisation), the processing of foods at very high pressures and centrifugal partition chromatography (for the purification of plant extracts). I also hope that we can continue our efforts to multiply our international projects and to gather knowledge to always better serve our customers. There are still some projects maturing but it is too early to talk about them yet. What tips would you give potential applicants who would like to implement a CORNET project? Stay tuned to the needs of today’s industry, society and environmental challenges. Be visionaries by anticipating those of tomorrow. The rest is thinking about finding the right solutions and the right partners to implement them. The presence at CORNET and IraSME Partnering Events favours all of this. It is also important for us to seek the advice of our local funding agency. Their pragmatism and their advice also help us. Finally, the industrial sponsors that you gather are very good guides from the genesis of the project. The Interview was conducted by Irina Bester.